Every year it seems like autumn arrives faster than you expect it to, with winter right on its heels. And every summer you think, “I’m going to do a better job prepping for the cold weather this year,” only to see that promise drift away like a falling leaf. Not this year! 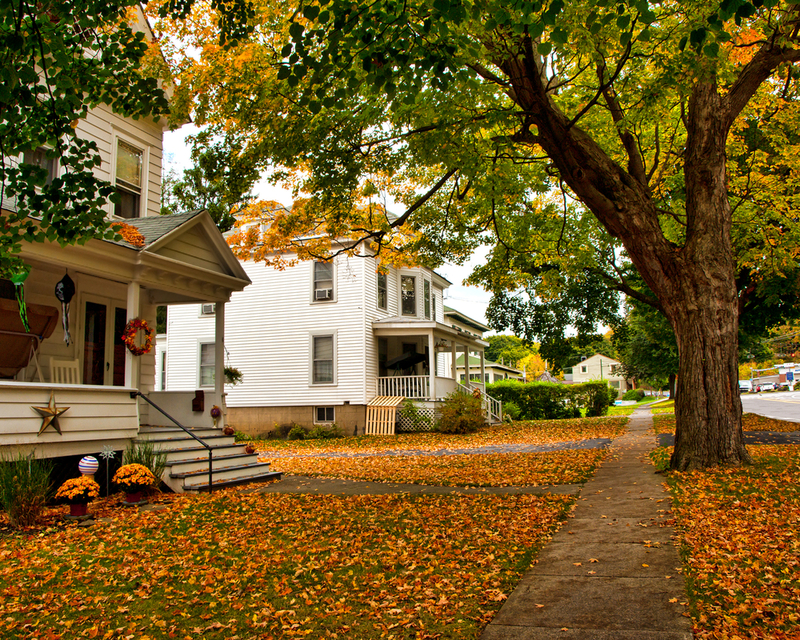 This is your friendly reminder and here is our Top 10 list of the things you should do to prepare your home for fall. Change the batteries in your smoke detectors. It’s a good idea to do this at least once, if not twice a year. Many experts recommend replacing batteries when you move your clock ahead or back with the time changes. But if you think of it in late summer instead, best to do it while it’s top of mind. Inspect window and door seals. There’s nothing worse than being snuggled up in your home as a fall gale blows in only to realize it’s blowing right through a gap around a window or door. Make repairs or replace seals now and you’ll be very glad later that you did. Have your furnace inspected. You should do this every year to prevent any dead-of-winter surprises. And if you schedule it now, you can avoid the mad rush that takes place the first time cold weather is in the forecast. Inspect your roof or have it inspected. If you’re comfortable getting up on your roof, do so carefully and take a look around for damaged shingles, missing caulk, and other problems that could lead to a costly and inconvenient roof leak. Correct any problems you find or save a little time and potential frustration by having a professional do it. Drain/winterize external faucets and irrigation systems. Unhook and store garden hoses — or at a minimum, unhook them after each use if you anticipate a little more watering. Have your sprinkler system professionally blown out to ensure you don’t end up with frozen and ruptured pipes. Clean gutters and downspouts. Rain and snow are coming. Prepare for them by making sure that precipitation will be moved efficiently off your roof and away from your home. Have your chimney inspected. If you have a wood burning fireplace, have a chimney sweep inspect it and clean it if necessary. Creosote buildup can result in a very dangerous situation. Check for concrete cracks and damage. The freezing and thawing that takes place in the winter can take small cracks or damage to driveways, sidewalks, and patios and quickly turn them into big problems. Do a thorough inspection and correct any problems you uncover. Assemble a cold weather kit for your car. In some ways, your care is an extension of your home. As long as you are preparing for fall and winter, ensure you have what you would need in your trunk if you were ever stranded in your car (blankets, flashlight, non-perishable food, etc.). If you’re working your way down your fall prep checklist and have questions about any needed home repairs, please give us a call. We’re happy to help you get ready for the change in seasons.